What to Look For and Steps For Thrift Store Shopping. Welcome back to LilacsNDreams, and Happy Thrifting everyone! It's the 4th of July, many activities happening due to this, and many of your thrift stores and second hand stores will find themselves busy too. When you go out thrift shopping you want to enjoy it, and make your experience a really great one too. Some people thrift because it is a hobby for them, and there are some people who do make a living from thrift shopping too. Most importantly is that you Love what you are doing. Having a passion for this can make a really big difference by doing something you enjoy which in turn allows you to be more active with it too. You have your own style, and what's really neat is you do not end up spending a lot of money. More people have been shopping the thrift way than they have the new way. A penny saved is a penny earned. Remember when you head out thrifting for the day that it might not always be a bed of roses for you. When shopping just remember that you are doing something that you enjoy doing. When you left to shop this morning were you wanting just cute stuff, things to repurpose with, or were there some big ticket items you wanted to find. Before you leave make sure to search your area for thrift stores, second hand stores, etc. After a few times of thrifting you will start to learn the stores, which ones you like, which ones are more organized, and the ones that you find better deals at too. When you head out thrifting for the day make sure you are dressed comfortably for it too. A nice pair of walking shoes is a must. Wear some loose clothes so that you can move around easier, and freely. Feel great while you bend, reach, doing some digging, and have fun with it too. If you plan on being outdoors with some of your visits make sure to check on the weather, and what to expect. Remember that timing can be important in thrifting too. Sometimes being the early bird is good. 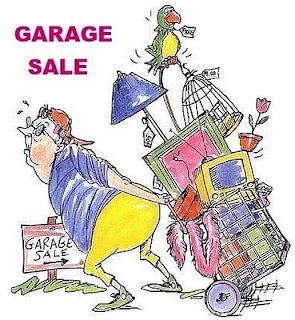 With tag sales find out for sure their last day of the sale since most will have everything 1/2 price that has not already sold on that day. Hey, if you like having company when you go thrifting make sure to take someone with you. Make sure it is someone who also enjoys thrifting so that you can all enjoy the shopping experience for the day. Before you leave to go thrifting make sure to budget your spending too. How much are you willing to spend for the day. Remember, it is easy to go over board with spending due to all the goodies, and must have treasures you will find. If you have specifics you are wanting make sure to have a list made to use for your searches. Once them specifics have been found then you can spend some money on other things you find along the way. Most of all when you are out thrifting for the day, Make It Fun! You have a day out to enjoy, save some money, and digging for those unwanted treasures by others. Flea Markets, Yard Sales, Thrift Stores. . . . . Once loved items found to be reloved again. Have fun everyone, be safe, and enjoy the Holiday too. Thanks for sharing with LilacsNDreams, and see you again soon. Take care, and Happy Thrifting!